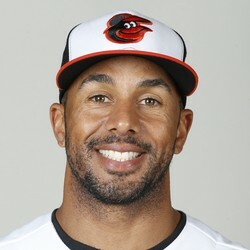 Non-roster invitee Chris Dickerson goes 0-for-3 with three strikeouts. Chris Dickerson seems to be fighting for a bench spot on the Orioles roster. The 34-year-old journey man did not impress today and seems like he will not be a fantasy option this year.